Learn how to grow Brussel sprouts yourself to avoid the age-old "Yuk!" problem. You have probably heard many people moaning about Brussels sprouts – seen the commercials where the kids feed their brussel sprouts to the dog, and things like that. Let's consign that attitude to history! The problem isn't with the veggie. In most cases the problem is with the way it was cooked or served, but most of the time the problem is with the way it was grown. If not grown properly, the sprout can have a very bitter taste. After harvest, invite all your friends that say they hate Brussel sprouts and show them how the veggie SHOULD taste. You'll probably want to start growing Brussel sprouts from seed. Use this video for guidance. Brussels sprouts are small leafy green buds that look like miniature cabbages. These crops, famous for their edible buds, have long been grown in Belgium. Many are now taking particular interest in these sprouts for their health benefits. Now you can also grow them at home with these Brussels Sprouts Little Baby Cabbages Vegetable Garden Seeds. The clusters of small leafy buds are nice to look at. Your ripe 1-1.5 inch round sprouts are ready for harvest as soon as leaves break off and shed. Brussels sprouts are exceptionally rich in vitamins, minerals, protein, dietary fiber, and antioxidants which work wonders to get rid of many health troubles. You might even convince the kids to eat their vegetables when you serve these little baby cabbages (we recommend stir-frying with bacon and butter!). They are flavor-packed and can be enjoyed in multiple ways. Brussel sprouts don't do too well in hot, dry weather, so they are usually planted later in the year than most crops – approximately 100 days before the first chance of frost, or late July/early August. 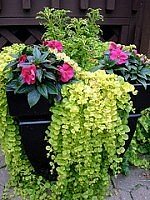 Of course, in some areas it is not unusual to get frost much sooner, so if there are frost warnings in September, you may want to move your containers indoors overnight, or cover the plants with a burlap bag. Frost in late October when the plants are reaching maturity is actually very beneficial. Prepare your containers with well-draining potting soil mixed with a balanced fertilizer. Follow the directions on the bag. 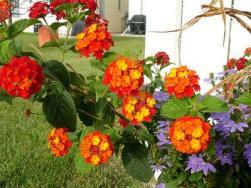 As a general rule, you will use 1 tablespoon of 14-14-14 fertilizer for three gallons of potting soil. Fill a 12-inch diameter container, 12 inches deep with the moistened soil and fertilizer mix. There should be about two inches of space from the soil to the top of the rim. Seedlings should be about four weeks old. Plant one seedling in one pot. Brussel sprouts need plenty of room, so obviously, if you want more than one plant, you will need more pots, or one large one that gives each plant at least a 12-inch diameter to itself. Plant the seedling at the same depth as what it was in the seedling container. 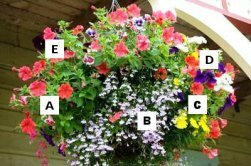 Place the container where the plant will get full sunlight. Water the plant every day or two, or whenever the surface soil feels dry. Use this video for guidance (apologies for the patchy sound quality). Pots can't hold water as well as a garden bed, so don't be surprised if the soil dries out quite quickly. Dry soil will reduce your yield and make the sprouts taste bitter, so keep on top of attending to their needs. About six weeks after you have your plants in their pots, you can start adding more fertilizer to the soil. Use high nitrogen, soluble vegetable fertilizer, half the recommended amount on the label. Do this about every two weeks. You can use clean compost instead of fertilizer. About one heaping handful of compost equals one tablespoon of fertilizer. If you have great advice on growing Brussels sprouts, then please click here to leave your tip for other readers to learn from! Because Brussel sprouts are in the same family as broccoli and cauliflower, many people assume they grow the same way. Actually, their growing pattern is more similar to corn. The Brussel sprout plant starts out looking much like broccoli and cauliflower plants, but over time, it gets quite tall – on average, about a metre. Some varieties get very tall, and may need to be staked to prevent them from falling over from their own weight. The "stalk" is covered with lots of leaves. The sprouts grow in the axles of the leaves. To increase the size of the sprouts, remove the leaves by carefully cutting them off near the sprout with a shape knife, making sure not to cut the sprout. New leaves and new sprouts will continue to grow as the plant gets taller. You can pick, or cut off individual sprouts when they get to a size you like. The sprouts at the bottom of the plant mature before the upper sprouts. In a regular Brussel sprout plant, the sprouts do not mature at the same time. Hybrid plants have been created to allow you to harvest the entire plant at one time, with all of the sprouts being close to the same size at time of harvest. Remove leaves from the bottom first. Leave the top leaves to feed the plant. Any yellow or dying leaves should be removed because they will drain important nutrients from the plant, and can also cause nearby sprouts to rot. Small, tender leaves can be picked and cooked the same as collard greens, kale or spinach. 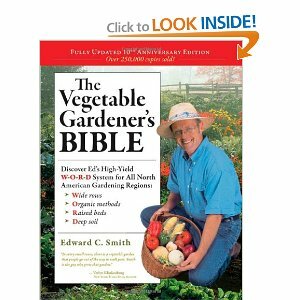 You can read more about how to grow Brussel sprouts, and dozens of other vegetables, in The Vegetable Gardener's Bible. If you have great advice on how to grow Brussel sprouts in containers, then please share, so other container gardeners can benefit from your wisdom! The main reason many Brussel sprouts taste so bad is because they have not been grown in ideal conditions. The sprouts like to mature in cooler temperatures – between the low 60s and 70s Fahrenheit. When you know how to grow Brussel sprouts, you'll know to harden them off. The flavor really comes out if they are allowed to experience a touch or two of frost. The below freezing temperatures convert the starch into sugar, giving the sprouts a wonderful flavor. You can begin harvesting Brussel sprouts when they are about one inch in diameter. Unless you have hybrid plants, they will mature at different times, with the bottom ones reaching maturity sooner than the upper ones. To harvest the entire plant at the same time, without using hybrids, chop off the top. This means, about two weeks before you want to harvest, cut off the top of the plant where there are no more sprouts, and remove all leaves. This will force all of the energy to go into developing the sprouts, because the plant will not be able to grow any taller. This brief video shows how farmers cut down their Brussel sprout plants. It's just a question of cutting through the thick stalk just above the soil. Fresh Brussel sprouts will always taste the best, but if you want to store some for later use, you can keep them in a plastic bag in the fridge for up to three weeks. Or you can blanch and freeze them. The sprouts can also be kept on the stalk for several weeks. Just pull out the entire plant and store it in a cold area. If you have great advice on how to grow Brussel sprouts in containers, please let us know here. 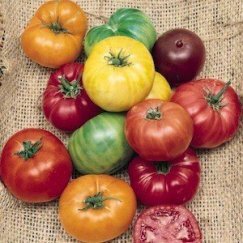 We'll publish your knowledge to improve everybody's chances of growing better veg. 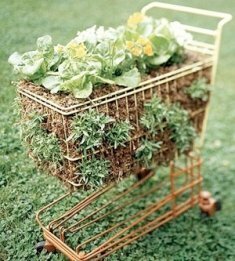 Pests and disease are very rare in container-grown plants, especially if you dump the soil at the end of the season and start each new crop with fresh, clean soil. Since you will probably only have about one or two plants, keeping an eye out for any aphids or cabbageworms is not a very big deal. Now you know how to grow Brussel sprouts that will make sprout lovers out of people who thought they hated the little green globes. Do you have any tips on how to grow Brussel sprouts in containers? Please share them by clicking here. Other visitors will thank you.